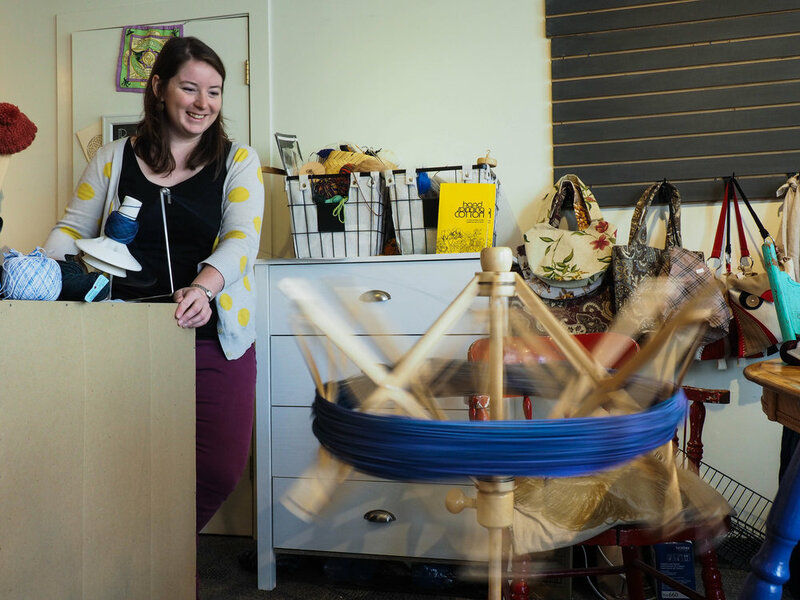 Five years ago, Itsy-Bitsy Yarn Store opened in the incubator space at the Horwoods Mall in downtown Whitehorse. At just 160 square feet in size, the miniature location gave the store its name. About a year later, the store moved into its current space, now with ample room for row upon row of colourful skeins of yarn. Heather Sealey celebrates the two-year anniversary of when she took over as the store’s proprietor. She says the previous owners, a couple from France, had suddenly fulfilled their dream of purchasing a sailboat, and so were looking to sell their business. The Manitoba native, who holds a master’s degree in environmental geochemistry, was having difficulty finding work and so she jumped at the chance to purchase the business. 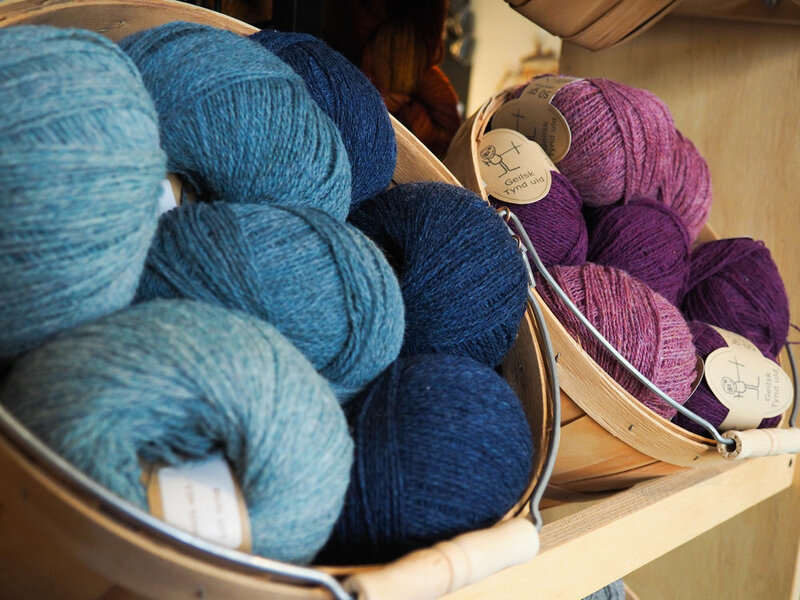 The yarn in Itsy-Bitsy Yarn Store ranges from the materials that any novice knitter would be familiar with, to qiviut (muskox undercoat) to skeins of sheltie dog wool. Many of the skeins are dyed by local artists, and soon Sealey will count herself among them. She plans to launch her own brand of yarn products later this year. 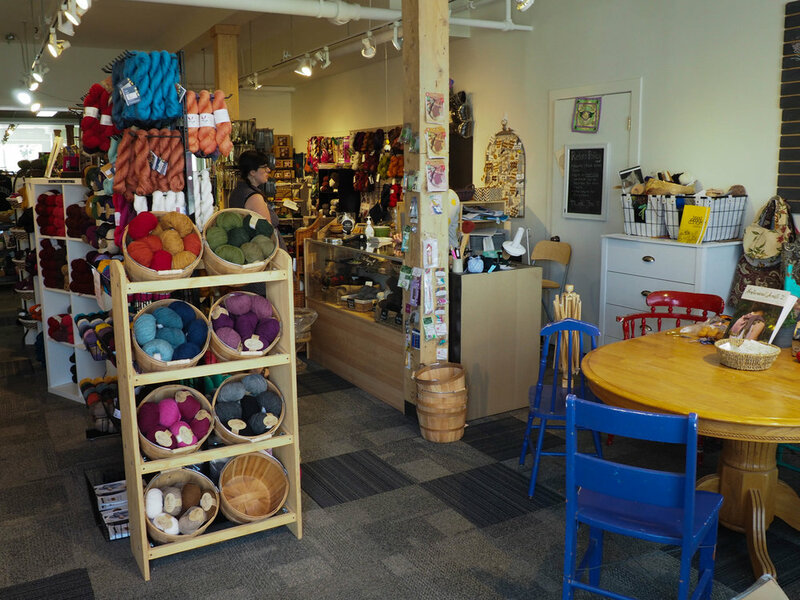 Itsy-Bitsy Yarn Store is stocked with Canadian- and Yukon-made products, such as carved yarn holders and fur scrap pompoms. 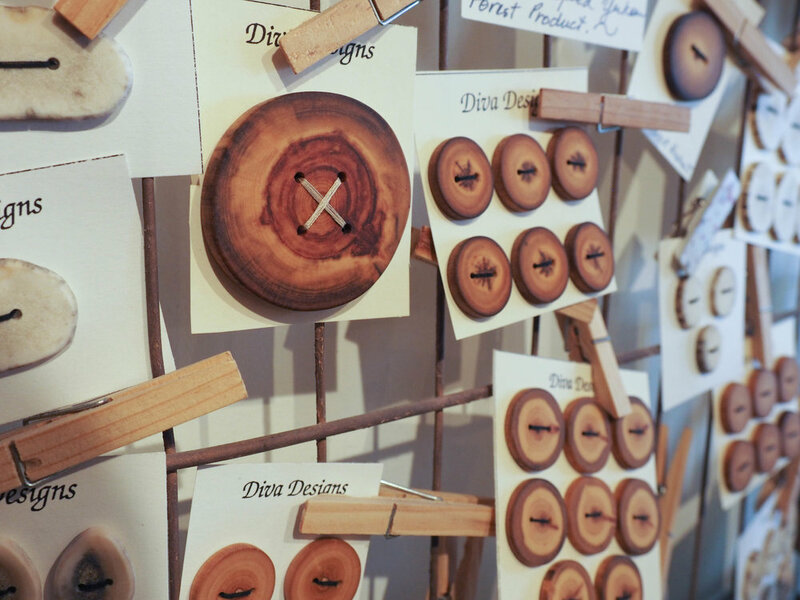 These particular buttons are made by a local artist who fashions buttons from antlers and sticks found in the woods. While some people can knit directly from a skein – an oblong pile of yarn – many people choose to have their yarn made into a ball. Sealey offers ball-winding services for free, but in lieu of payment she accepts donations to a local charity that she chooses each month. 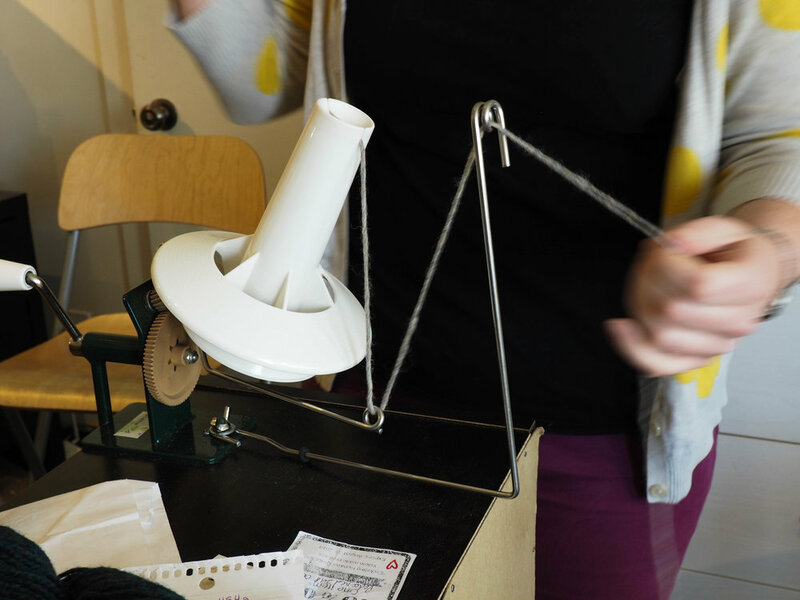 As Sealey turns the handle of the wool winder, it transforms a skein of wool into a compact ball of yarn for her customers. The whole process takes just a few minutes to convert a skein into a ball. Within 10 minutes, Sealey has finished three balls of yarn. These oversized knitting needles double as an eclectic art installation at the back of her store. Sealey says she hopes to take the yarn off the needles, dye it and then knit the yarn up again. For Sealey, community plays a huge role in the success of her business, so she says she tries to give back as often as she can. For the Canada 150 celebrations last year, the knitting community planned to knit 150 pairs of socks to donate to Whitehorse’s outreach van, but surpassed their goal with a total of 186 pairs. Sealey says she is among a tight-knit group of female business owners in the Horwoods Mall. She says being in the company of other female business owners helped her through the natural rough patches of running a small business.